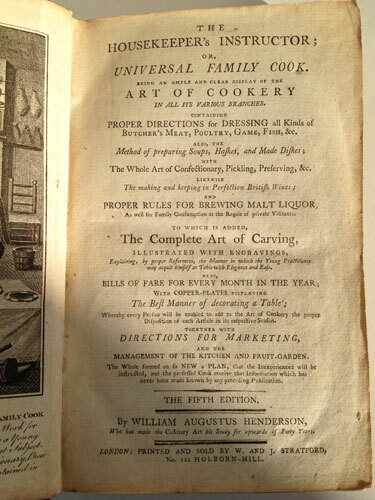 OR, UNIVERSAL FAMILY COOK, BEING A FULL AND CLEAR Display of the Art of Cookery in all its Branches. 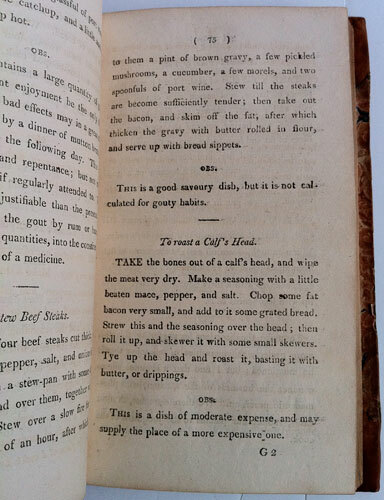 Proper Directions for dressing all Kinds of Butcher’s Meat, Poultry, Game, Fish, &c. The Method of preparing all the Va-rieties of Soups, Hashes, and Made Dishes. The whole Art of Confectionery, Pick-ling, Preserving, &c. The making and keeping in Perfection British Wines; and Proper Rules for Brewing Malt Liquor for large or small Families. TO WHICH IS ADDED, The Whole Art of Carving, ILLUSTRATED WITH ENGRAVINGS, Explaining by proper References, the Manner in which Young Practitioners may acquit themselves at Table with Elegance and Ease. ALSO, Bills of Fare for every Month in the Year. The Manner of decorating a Table, displayed by Copper Plates. Directions for Marketing. 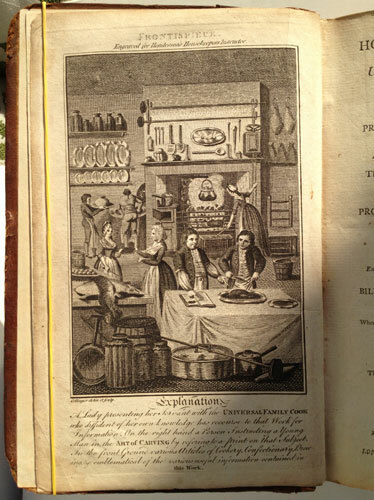 Observations on Culinary Poisons, and The Management of the Kitchen and Fruit Garden. By W.A. HENDRSON, Many Years eminent in the Culinary Profession. The Fifteenth Edition. 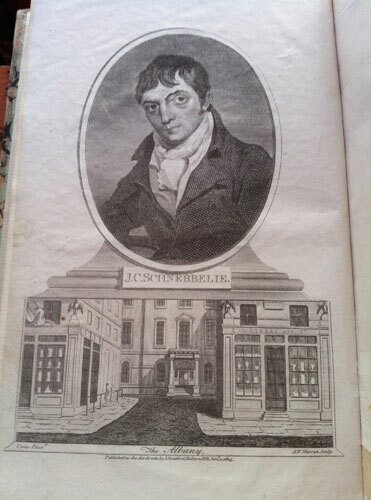 CORRECTED, REVISED, AND CONSIDERABLY IMPROVED, By every modern Addition and Variation in the Art, By JACOB CHRISTOPHER SCHNEBBELIE, LATE APPRENTICE TO MESSRS, TUPP AND PERRY, Oxford-Street; afterwards PRINCIPAL COOK AT MELUN’S HOTEL, BATH; AND NOW OF THE ALBANY, LONDON. 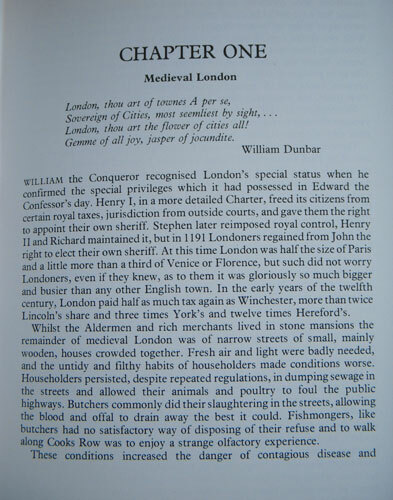 LONDON PRINTED AND SOLD BY J. STARTFORD, NO. 112, HOLBOLN-HILL. 1809. Large 8vo. 1fep. Frontispiece with engraving of Schnebbelie and The Albany. 3-4 Introduction. 5-448. 16p Index. 1fep. 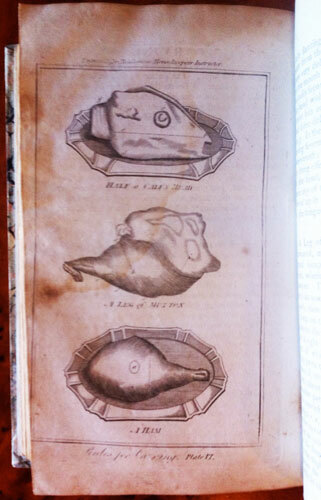 Seven engraved plates illustrating carving, plus three plates, (one folding) showing table settings, as called for. Handsome dark brown half calf binding. Spine with gilt lines and a black calf label with gilt lettering. Marbled boards. The text block very good with very slight foxing occasionally. Overall a very good copy. 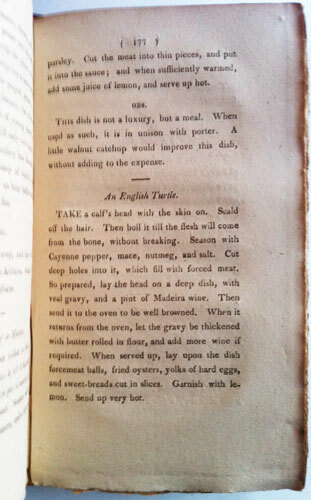 - It was one of the most popular English cookery books of the late eighteenth and early nineteenth centuries. 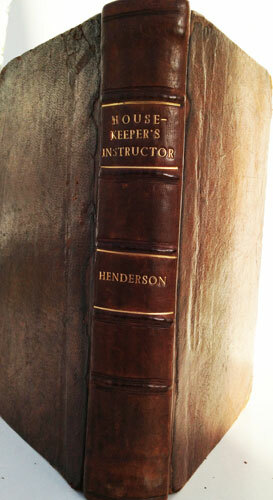 Henderson's work was premised on the need to provide inexperienced householders with a basic instruction manual to impart the principles of proper domestic economy to cooks, servers and other household and garden staff. 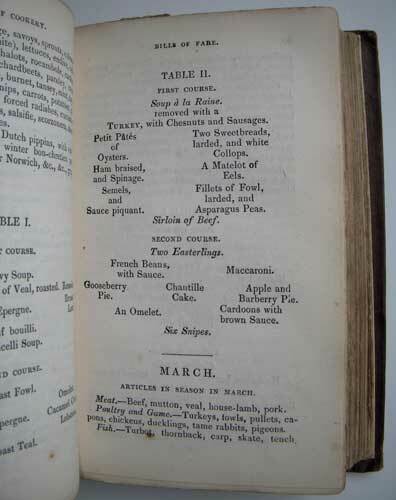 It is an attractive work, with interesting recipes and menus for the different months of the year, including a lavish one for a ball supper for twenty. 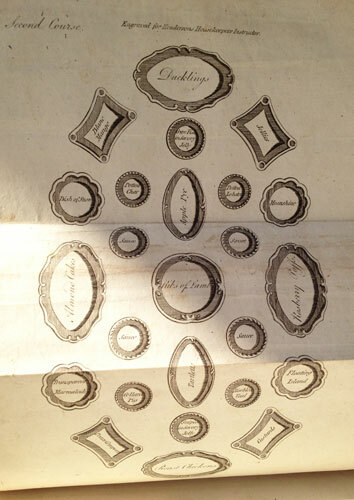 Jacob Christopher Schnebbelie had been the principal cook at Melun’s Hotel in Bath and Martelli’s Restaurant at The Albany, in Piccadilly, London. - Cagle 738 for the 1791 first edition. 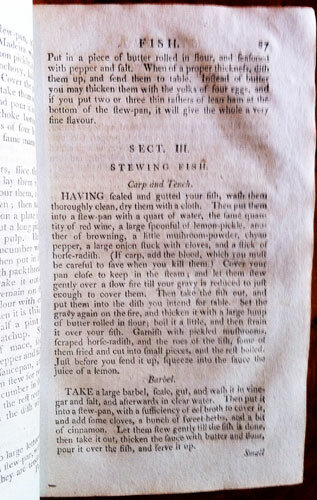 OR, UNIVERSAL FAMILY COOK, BEING AN AMPLE AND CLEAR Display of the ART OF COOKERY IN ALL ITS VARIOUS BRANCHES.CONTAINING PROPER DIRECTIONS for DRESSING all Kinds of Butcher’s Meat, Poultry, Game, Fish, &c. ALSO, THE Method of preparing Soups, Hashes, and Made Dishes; WITH The whole Art of Confectionary, Pickling, Preserving, &c. LIKEWISE The making and keeping in Perfection British Wines; AND PROPER RULES FOR BREWING MALT LIQUOR, as well for Family Consumption as the Regale of private Visitants.. TO WHICH IS ADDED, The Complete Art of Carving, ILLUSTRATED WITH ENGRAVINGS, Explaining by proper References, the Manner in which Young Practitioners may acquit himself at Table with Elegance and Ease. ALSO, BILLS OF FARE FOR EVERY MONTH OF THE YEAR. 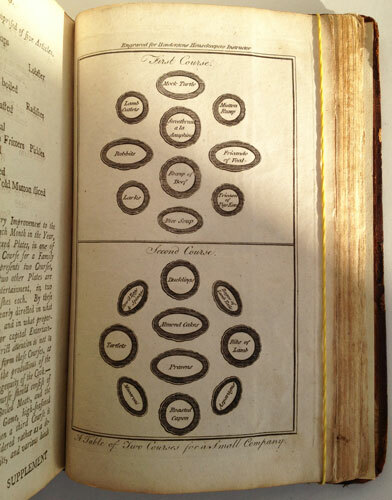 With COPPER-PLATES displaying The Manner of decorating a Table; DIRECTIONS FOR MARKETING, AND THE MANAGEMENT OF THE KITCHEN AND FRUIT-GARDEN. The whole formed on so NEW a PLAN, that the Inexperienced will be instructed, and the professed Cook will receive that Information which has never been known by any previous Publication. THE FIFTH EDITION. By WILLIAM AUGUATUS HENDERSON, Who has made the Culinary Art his Study for upwards of Forty Years. LONDON: PRINTED AND SOLD BY W. AND J. STARTFORD, No. 112, HOLBORN-HILL. Large 8vo. 1fep. 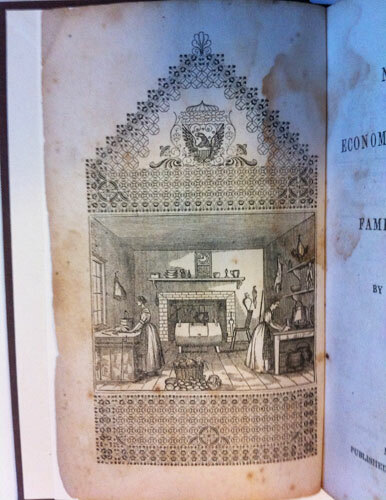 An interesting Frontispiece with an engraving of a kitchen scene and a Butler instructing an apprentice in the Art of Carving and a	Lady presenting her servant with a copy of the Universal Family Cook. 3-4 Introduction. 5-448.16 pages Index. 1fep. 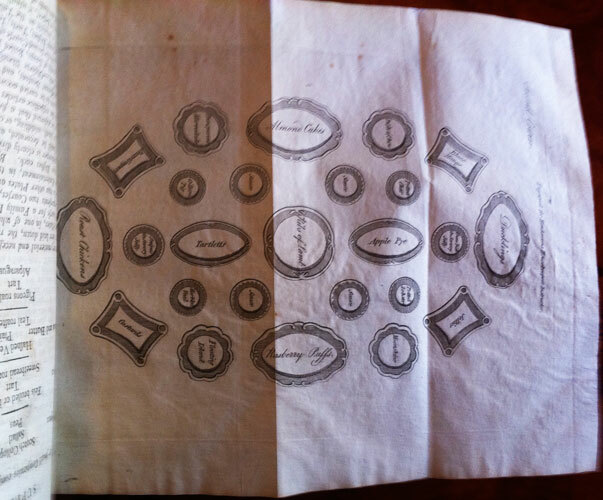 Seven engraved plates illustrating carving, plus four plates, (two folding) showing table settings, as called for. Original dark brown calf boards with rubbed corners. 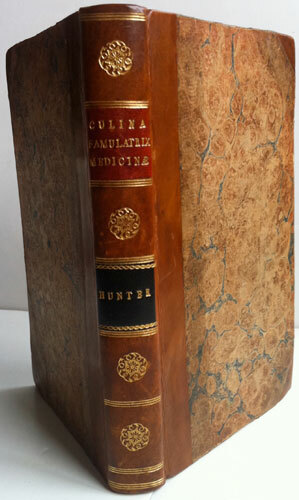 Sympathetically re-laid spine with raised bands, and two calf labels with gilt lettering and lines. The text block very clean with very slight dusting in places. Overall a very good copy. - An early edition of Henderson's book. All early copies are uncommon. The first was issued 1971. 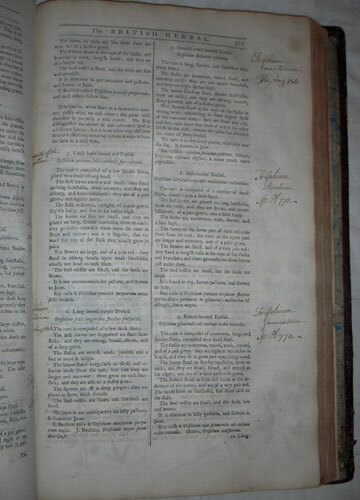 This one is the fifth Edition of 1793. It is obvious that Henderson's book was very popular, publishing the 2nd, 3rd & 4th editions within 2 years of the 1st and 5th editions. 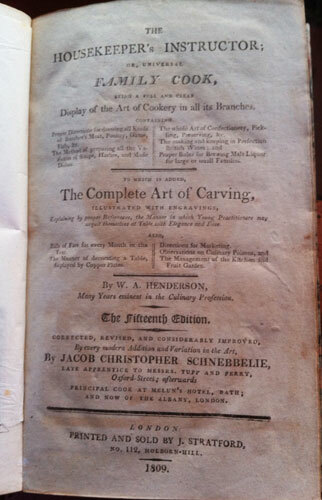 How many of each edition was printed is nigh impossible to ascertain, but Henderson's successful book ran to many editions and after his death, and to quote the title page verbatim - "CORRECTED, REVISED, AND CONSIDERABLY IMPROVED, By every modern Addition and Variation in the Art, By JACOB CHRISTOPHER SCHNEBBELIE, LATE APPRENTICE TO MESSRS, TUPP AND PERRY, Oxford-Street; afterwards PRINCIPAL COOK AT MELUN’S HOTEL, BATH; AND NOW OF THE ALBANY, LONDON". Schnebbelie took up the 12th edition and continued until at least the 17th edition. 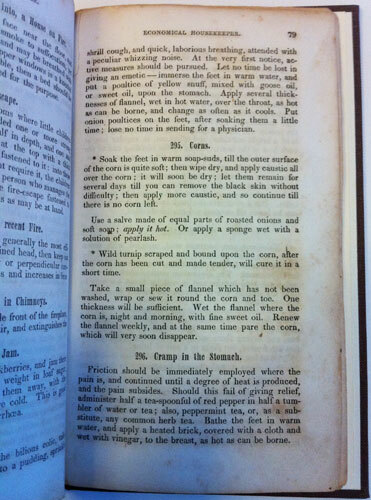 In her bibliography the ever-frustrating MacLean dismisses Simon's p.81 claim, that this cookery book was probably the most popular of the late eighteenth century, and she further states negatively, it is a 'bold assertion'. Bold or not, the 10th edition of c1800 proves the overwhelming popularity a book that runs to ten editions in nine years and is then taken up by another famous cook and subsequently runs to another seven editions at least. The other unusual fact that cannot be dismissed lightly, is that Schennbelie even kept Henderson's name in the title page before his own. One cannot see that if the book continued to be anything less than hugely popular, Schennbelie would have persisted with Henderson's name on the title page. Because of the great scarcity of all early editions, one has to conclude that limited numbers of each edition were issued. 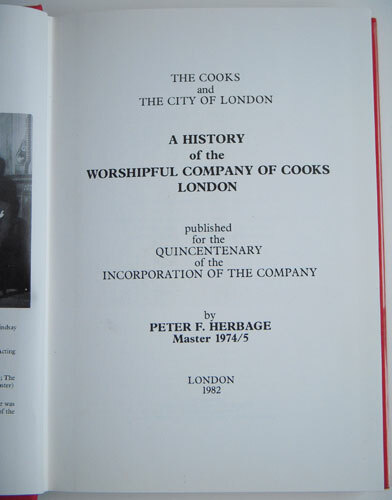 A History of the Worshipful Company of Cooks. 12mo. 1fep. Half title. On verso - frontispiece of past Masters. Title page. 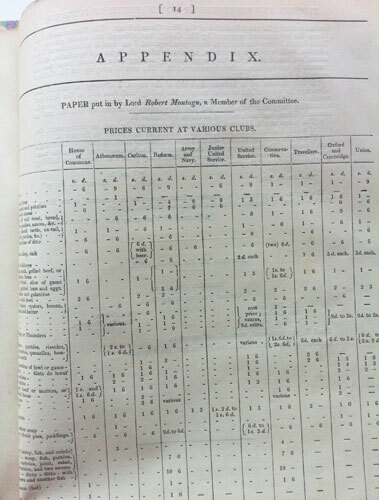 Verso with printer's info. 1p Dedication  1p Acknowledgements. 1p Contents. 1p Preface. 2p Author's Forward. 1-237. 239-242 Appendix A.B&C. 243-247 List of Masters. 248-255 Appendix D.E.F.G&H. 2p Engravings. 258-260 Index. 1fep. 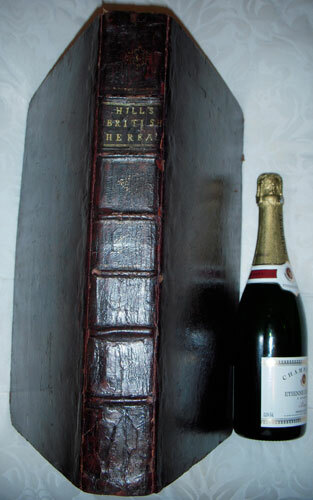 Original full red cloth binding with gilt text on spine and gilt armorial and text on front cover. As new. - The earliest guilds in England were the ’Frith Gilds’[sic] of Saxon Times. They were not yet associations of craftsmen. Members accepted responsibility declaring “Lets share the same lot, if any misdo lets all bear it”, and they also took an oath of fidelity. They met once a month for a guild feast, their leader being known as an Alderman. We learn from this well informed text that in 1327 a King’s writ was issued to the Mayor and Alderman ordering them to “punish such bakers, cooks etc -----, as are found lax in their work and ministries -----“. One such case of a punishment made to fit the crime, was meted out to Richard Rouse, cook to the Bishop of Rochester. In 1530, he poisoned sixteen persons with broth intended for his Master, and was subsequently sentenced to be boiled to death. 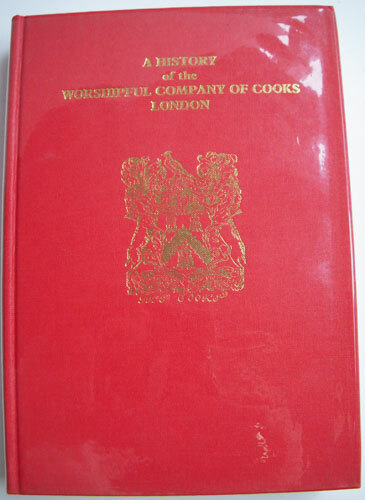 Besides the stern treatment of miscreant cooks, the book informs that the ‘The Worshipful Company of Cooks’ is the smallest of the Livery Companies of the City of London. The Company traces its origins back to the 12th Century, founded from two guilds of cooks in medieval London - the Cooks of EastCheap and the Cooks of Bread Street. The Company received its Royal Charter in 1482. As you would expect from a Company whose roots can be traced back to 1170, the Worshipful Company of Cooks has a rich and colourful history from the earliest records of Cooks in the Middle Ages and their control of the craft until the 19th Century to the Company’s current charitable works. The Company is no longer an association of tradesmen in its original sense of control; yet its membership today still includes craft tradesmen, as well as active engagement with a broad range of organisations associated with cooking. 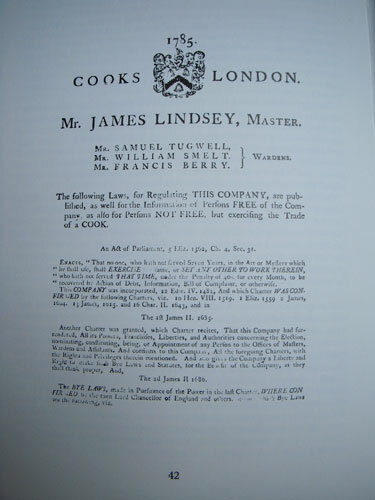 The Company's purpose in contemporary times can be summarised by three principal objectives: *1- To support the modern day craft of cooking including catering excellence through competition, scholarly and scientific culinary research, and the development of food policy; *2- To fund a range of charitable activities associated with the welfare and education of the catering trade, as well as the City of London *3- To pursue a fellowship of association that can mobilise the necessary resource, skill and wisdom to bring the other two about. 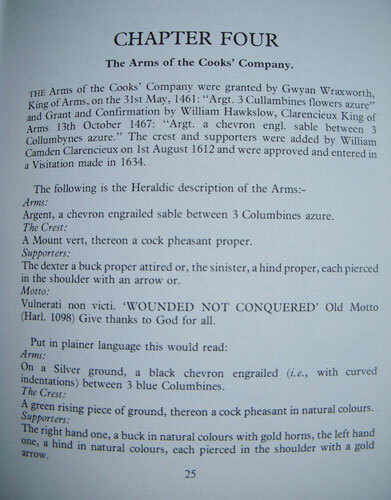 The Cooks' Company ranks thirty-fifth in the order of precedence of Livery Companies. Its motto is ‘Vulnerati Non Victi’, Latin for ‘Wounded not Conquered’. This is a well researched history that brings the reader thro’ the ages of a London Livery Company and its total of nine charters granted by various Kings and Queens. A 1st edition of this book was compiled in 1932 with 207 pages. See item -ref: # 11222, on this site. Hill. Sir John - Rare large paper copy with 75 hand-coloured plates. 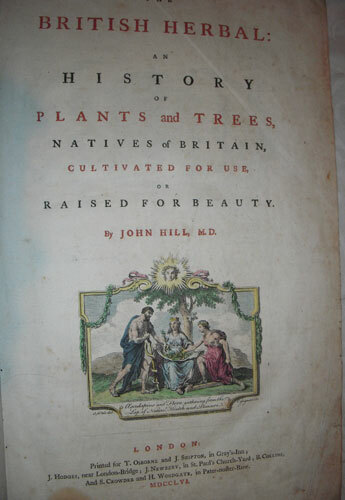 AN HISTORY OF PLANTS and TREES, NATIVES of BRITIAN, CULTIVATED FOR USE, OR RAISED FOR BEAUTY. By JOHN HILL, M.D. LONDON: Printed for T. Osborne and J. Shipton, in Gray's-Inn, J. Hodges, near London-Bridge; J. Newbery, in St. Pauls Church-Yard; B. Collins, And S. Crowder and H. Woodgate, in Pater-noster-Row. MDCCLV1. FIRST EDITION. Very large folio. 475x295mm. Marbled end-papers and front and back paste-downs. 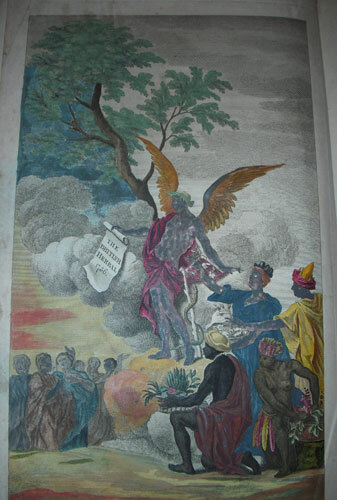 1fep Frontispiece (hand-coloured allegorical full page engraving showing the "Genius of Health receiving the tributes---") Title page with red and black text and a coloured vignette (praised and illustrated by Henrey 11) 2pp dedication with coloured arms of the Earl of Northumberland flanked by the lion and the unicorn. 2-533. 3pp index. 1fep. 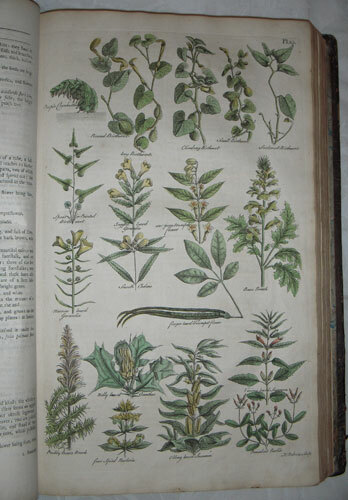 With 75 plates of multiple botanical and herbal specimens, all delicately coloured by a contemporary hand. A large paper copy. Possibly original full dark brown calf boards with faded double gilt lined border. Spine in same dark calf, raised with faded gilt. Gilt lettering in one compartment. Overall slightly rubbed but nicely re-polished. 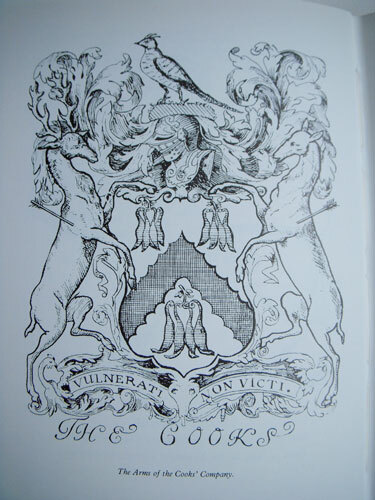 Frontispiece edges sometime expertly restored without loss or affecting the coloured engraving. Title page lightly dusted with a 1" light brown stain not affecting text. Small 1"sq. old sellotape mark on p79 not affecting text. The last four pages lightly browned with page repairs not affecting text. Very neat contemporary manuscript notes in margins throughout referring to several plants names and perhaps positions in the garden, ownership inscription on blank side of frontispiece of Solomon Ackroyd. Overall a nice bright copy in its original condition. 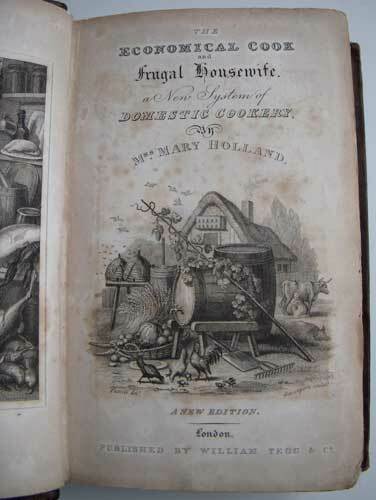 AND FRUGAL HOUSEWIFE; AN ENTIRELY NEW SYSTEM OF DOMESTIC COOKERY, CONTAINING APPROVED DIRECTIONS FOR PURCHASING, PRESERVING, AND COOKING, ALSO, PREPARING SOUPS, GRAVIES, SAUCES, MADE DISHES, WITH DIRECTIONS FOR PASTRY AND CONFECTIONERY. By MRS. MARY HOLLAND. THE SIXTEENTH EDITION. LONDON: WILLIAM TEGG AND Co., CHEAPSIDE. 1848. 12mo. 2feps. 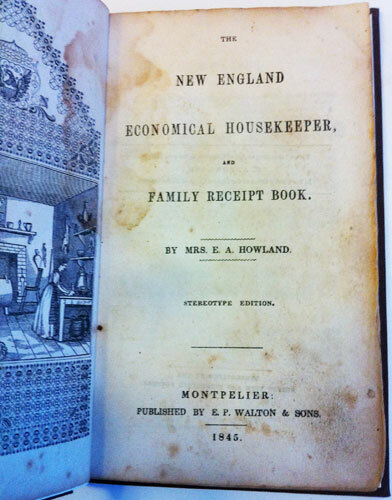 Frontispiece of 'A Housewife'. Engraved Title Page. Title Page. iii-xii Contents. xiii-xlviii Introduction. 4 plates of Table settings. 49-425. 426-432 Marketing Tables. 3feps. Original dark brown cloth boards with blind tooling. Spine re-bound in dark brown calf with gilt dots, raised bands, two green labels with gilt lettering. 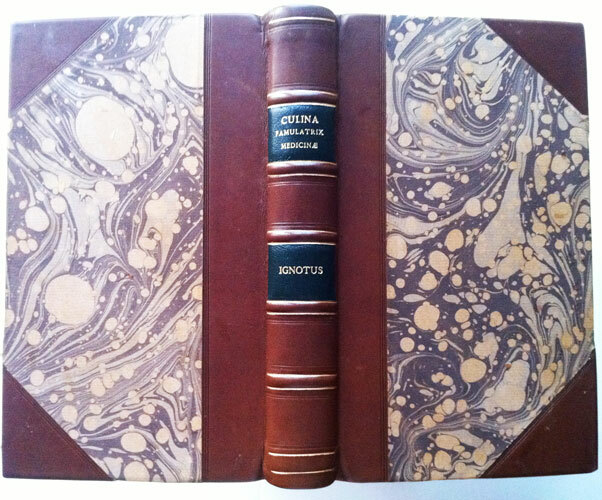 Very good copy with very light foxing and age browning to the frontis and engraved title page. 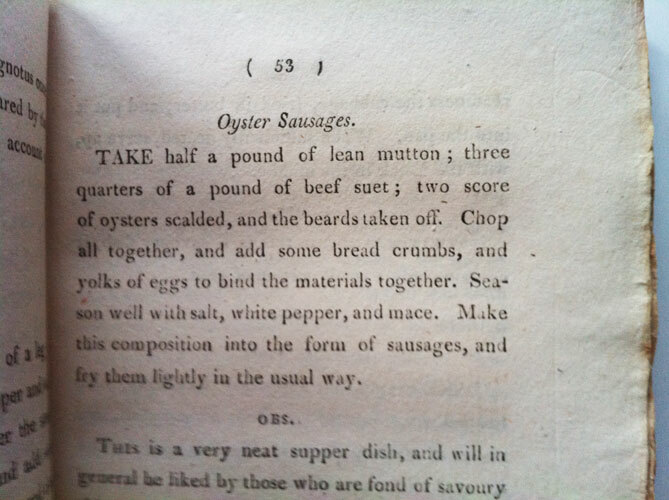 - Very little is known about Mary Holland but this seems to be a very comprehensive little book similar to, but only half the thickness of Eliza Acton's, 'Modern Cookery'. House of Commons. 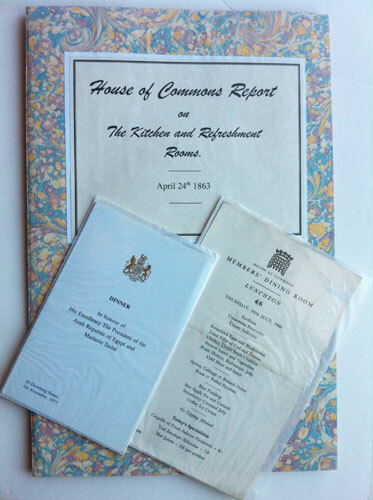 - House of Commons and 10 Downing St menus . Report on the Kitchen and Refreshment Rooms. April 24th 1863. 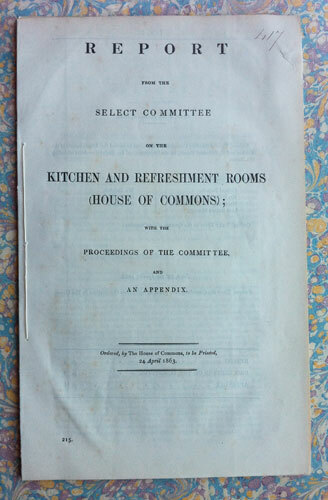 REPORT FROM THE SELECT COMMITTEE ON THE KITCHEN AND REFRESHMENT ROOMS (HOUSE OF COMMONS); WITH THE PROCEEDINGS OF THE COMMITTEE, AND AN APPENDIX. Ordered by The House of Commons, to be printed, 24 April 1863. 320x200mm. Title page. p2 Committee names. 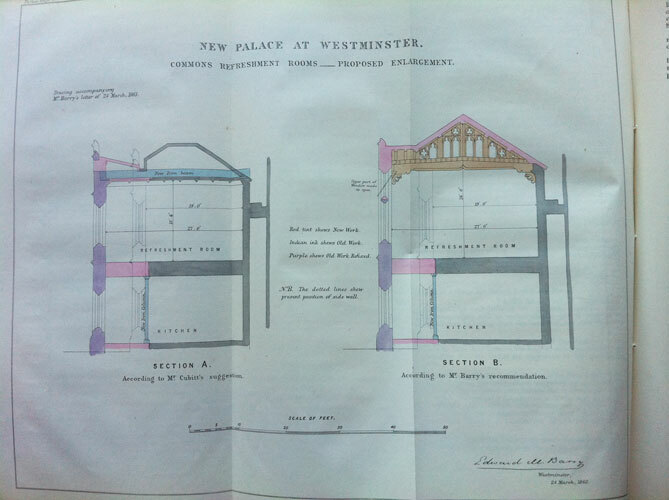 3-7 Report with a large folding plate of a lovely unusual coloured drawing on the various proposed changes for the New Palace of Westminster refreshment rooms. 8-14 Proceedings of the Select Committee. p13 is miss-bound after p14. Last page is a small copy of the title page. It has 2 menus enclosed. 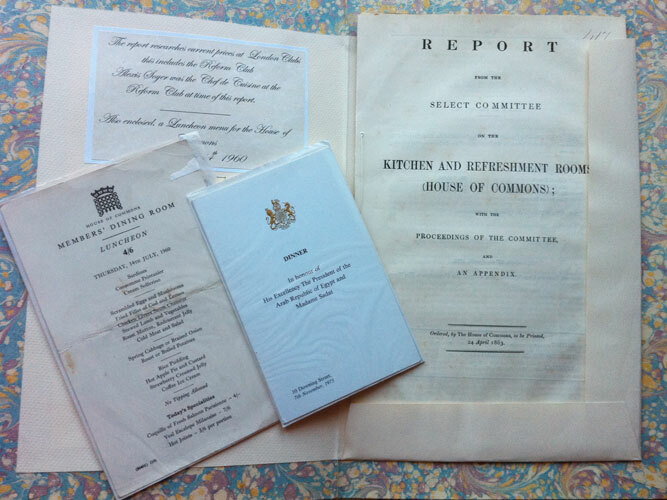 The first one is a one page white cardboard Luncheon menu from the House of Commons members dining room on 14th July 1960. The second menu is for a dinner at 10 Downing Street for the President of Egypt, Anwar Sadat and his wife on 7th November 1975. Harold Wilson was the Prime Minister at the time. The report is bound by a thread. All items are very clean and in good condition. - The report consists of a full review of the current (1860's) operational inefficiencies for dining in the House of Commons during the House sessions. Based on members complaints the report also reviews dinner numbers, wage comparisons and wine suppliers. 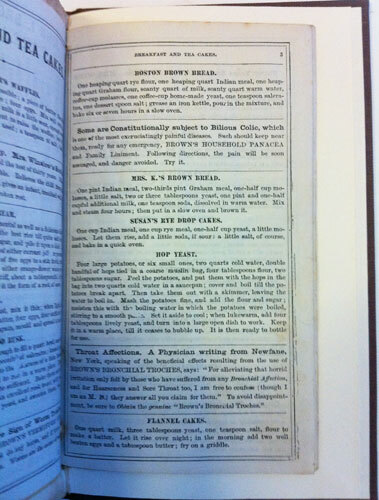 Page 14 is a comparison of current prices at London clubs including The Reform Club, which covers the time of the tenure of the famous chef, Charles Elme Francatelli, who had taken up the position of Chef de Cuisine after the equally famous chef, Alexis Soyer, resigned from the Club in 1850. With the menus, this is a very interesting look at the Catering department and dining setup at the Commons and the Prime Minister's official residence. 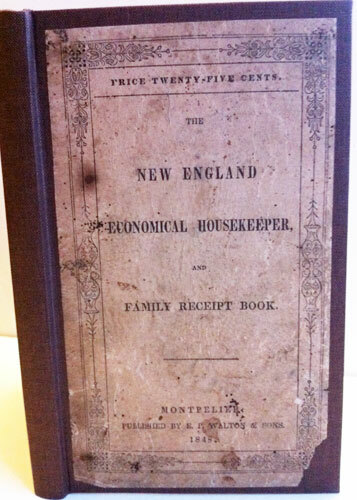 AND FAMILY RECEIPT BOOK. BY MRS E.A. HOWLAND. STEREOTYPE EDITION MONTPELIER: PUBLISHED BY E.P. WALTON & SONS. 1845. 12mo. 185x113mm. 1fep. Half Title. 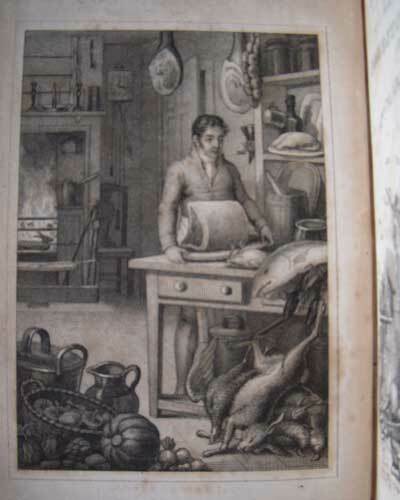 On verso – Frontispiece of kitchen scene with a smoking & baking drum in the middle of the kitchen floor. Title page. On verso: Entered according to an Act of Congress, in the year 1845, by E.A. HOWLAND. 1p. Preface and advertisement. (1)11-12 Index. (1)14-108. 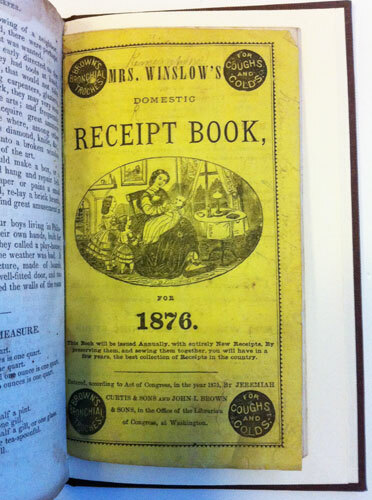 Bound in at the back is a small booklet titled ‘Mrs Winslow’s Domestic Receipt Book’ for 1876. It has yellow paper covers and 32 pages. In good condition. 1fep. Rebound in full dark brown cloth with the original chipped paper cover tipped onto the front board. Internally age browned and quite dusty with some water staining. A quite scarce, fairly early American edition. 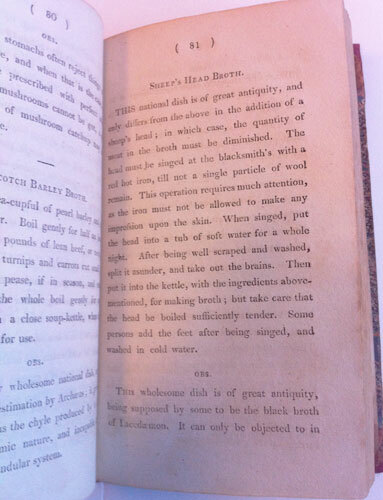 - This copy has a confusing half title stating it is Walton’s second edition of 1848. The frontis is on the verso of the half title. The title page opposite states 1845. Lowestien offers a first edition of 1844, with 88 pages. She also holds another 1845 - second edition, printed at Worcester. She also records this second of 1845, printed at Montpelier. Frustratingly, it does not clarify which are the first and second issues. Lowestien’s last entry is also a stereotype, printed at Rochester in 1853, again not clarifying which edition it is. 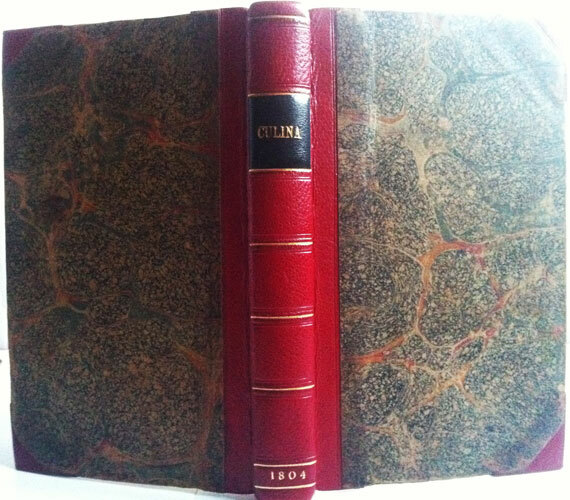 Bitting holds an 1848 edition of 108 pages, copyrighted in 1845. Bitting cites Lincoln: 1st, 1844; 2nd 1845; Stereotyped editions are 1846, 1847, 1848. Bitting also informs us that the [E.A.] Howland is in fact Esther Allan. 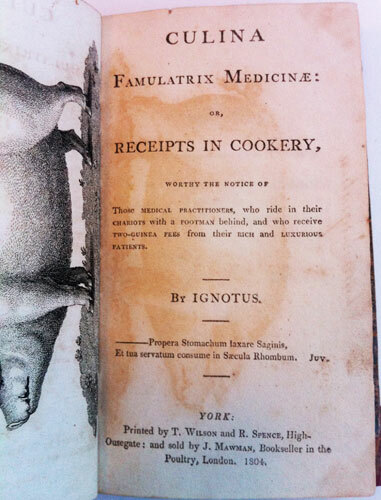 Ignotus - The very rare first edition. OR, RECEIPTS IN COOKERY, WORTHY THE NOTICE OF Those MEDICAL PRACTITIONERS, who ride in their CHARIOTS with a FOOTMAN behind, and who receives TWO-GUINEA FEES from their RICH and LUXURIOUS PATIENTS. By IGNOTUS. ------ Propera Stomachum Iaxare Saginis, Et tua servatum in Saecula Rhombum. Juv. 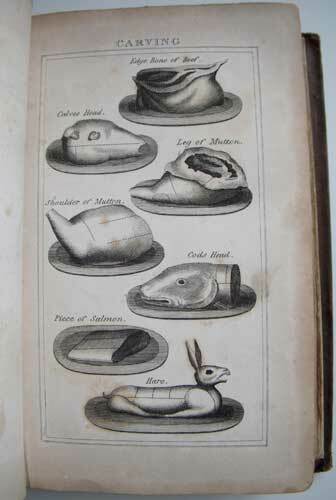 YORK: Printed by T.Wilson and R.Spence, High-Ousrgate; and sold by J.Mawman, Bookseller in the Poultry, London. 1804. FIRST EDITION. 12mo. 1fep. 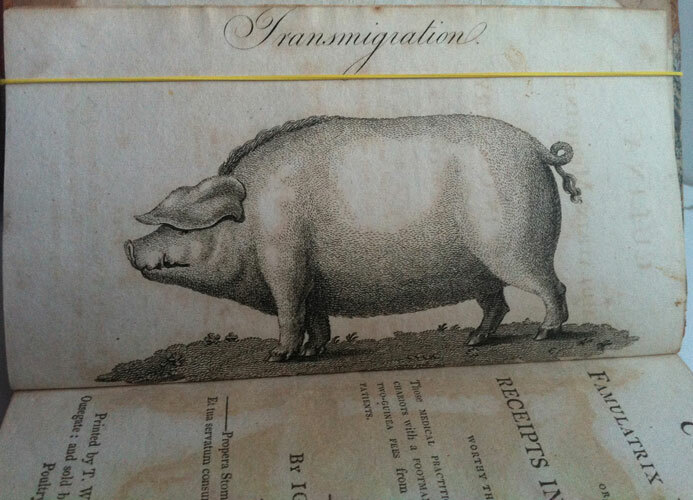 Frontispiece of a pig. Title page. 1p Dedication. (1)6-12 Preface. (1)14-226. (1)228-235 Contents. 1fep. Quarter modern red calf with marbled boards and calf tips. Spine with blind tooling and gilt lines with a black label and gilt lettering. Internally clean with the whole text block slightly but nicely age browned. Overall a very pleasing copy. - COPAC's full records cite only one first edition of 1804 at York. Oxford quotes a 2nd - 1805, 4th - 1806, 5th - 1807, new - 1810. 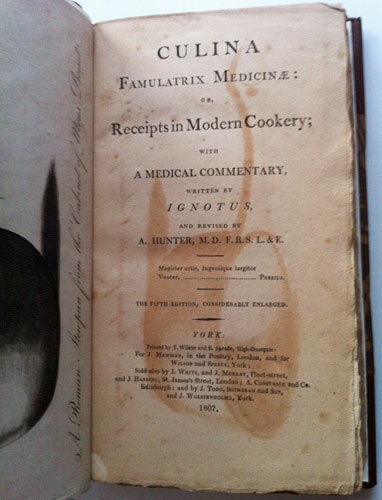 The author was A.Hunter, M.D., F.R.S., who practised at York. The rather quaint and sincere book dedication states 'To those Gentleman who freely give two quineas for a Turtle Dinner at the Tavern, when they might have a more wholesome one at Home for ten shillings'. 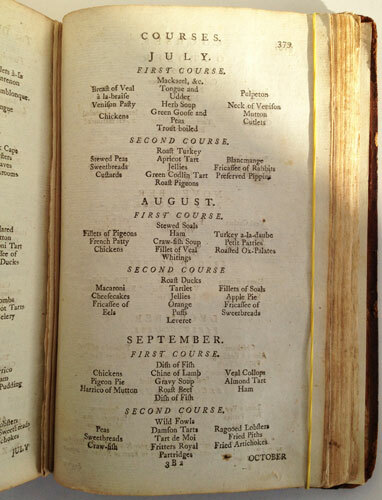 One seriously doubts that those very gentleman who can afford two guineas (£68.oo in today's money) for a Turtle dinner are ever likely to read a cookbook, and rarely cook at home, especially such a seriously complicated meal to prepare, that first starts with the purchase of a fresh Turtle. Oxford 143. Cagle 555. Bitting no first but a 2nd and a late 1820 new ed. Worldcat cites many other editions, but only two firsts; one of which is from the Elizabeth Robins Pennell Collection at the Library of Congress. 12mo. 202x122mm. 1fep. 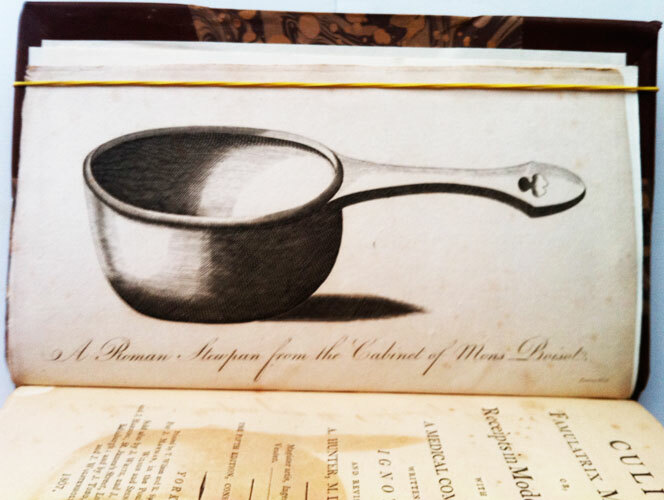 Frontispiece of a Roman stewpan. Title page with an age shadow of the stewpan. 1p Dedication. (1)6-14 Preface. (1)16-296. (1)298-310. (1)2-20 Men and Manners. 21-22 A domestic character. 1fep. A nice modern rebind in dark calf and marbled boards. Spine with raised bands, gilt lines and two black morocco labels with gilt lettering. Very clean, with original untrimmed and uncut pages. A very collectible and desirable copy. 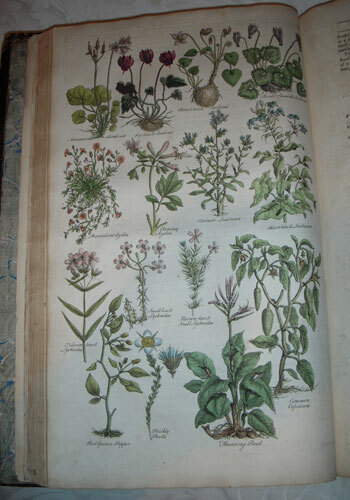 - In Sophie Schneideman’s tenth catalogue of rare books she informs: -- Dr. Hunter, a Scottish physician, helped to establish the York Lunatic Asylum, and to be honest, there is something of Bedlam about this book. It is a highly opinionated book and a marvellous read. 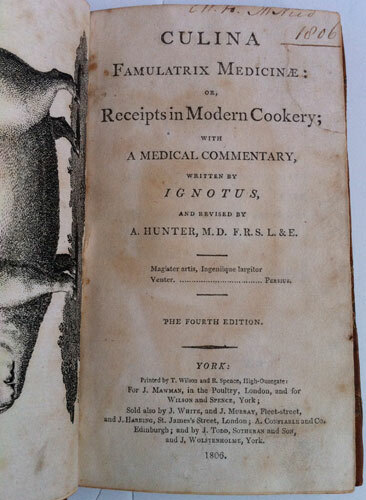 Each recipe is followed by ‘Ignotus’s’ or rather ‘Hunter’s’ observations on it, often including the effect on the body. 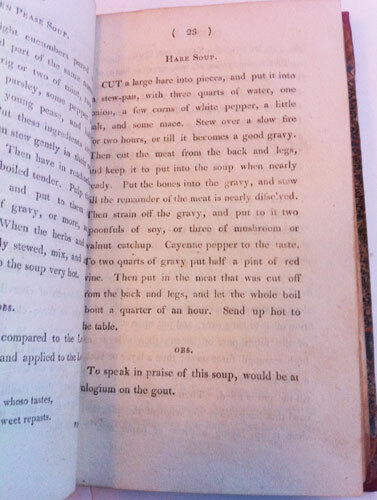 Of Mock Turtle Soup he writes “This is a most diabolical dish, and only fit for the Sunday dinner of a rustic, who is to work the six following days in a ditch bottom. It is the very essence of Pandora’s box. So, – Get thee behind me Satan!”. The appendix gives 267 pieces of advice on Men and Manners. All pithy and often witty, one declares “Never enter an auction room, for there you will tempted to buy what you do not want”, another “Do not blame a man for hard drinking, if he belongs to a thirsty family”.-- Quite why Hunter implies the work is written by 'Ignotus' which is Latin for: unknown, obscure, ignorant and ignoble, when he was the author is unknown. Possibly he spent a little too long with the inmates. 12mo. 181x113mm. Marbled paste-down and end-paper. 1fep. 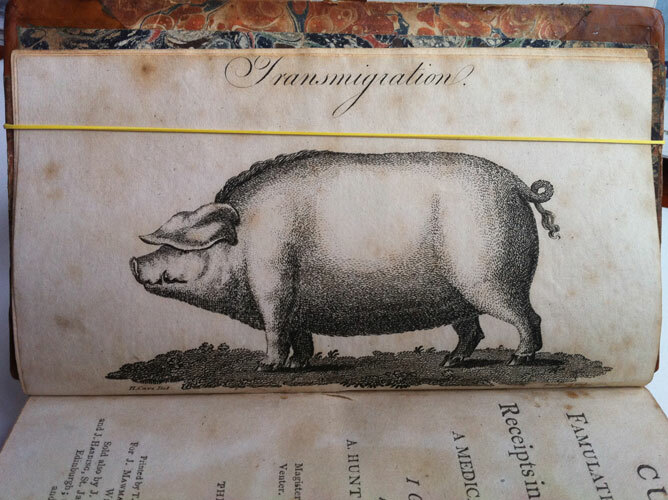 Frontispiece of a pig with the heading slightly cropped. Title page with an ink inscription at the top slightly cropped. Dedication. (1)6-14 Preface. (1)16-291. 292-293 Advertisement. (1)296-308 Contents. 1fep. Marbled end-paper and paste-down. Quarter light brown calf with slightly faded marbled boards. Gilt lines with gilt tooling in the compartments. Two labels, one red and the other black with gilt lettering. Very lightly age browned throughout with the text block sometime cropped without loss. Overall a pleasing copy.